JUST REDUCED! 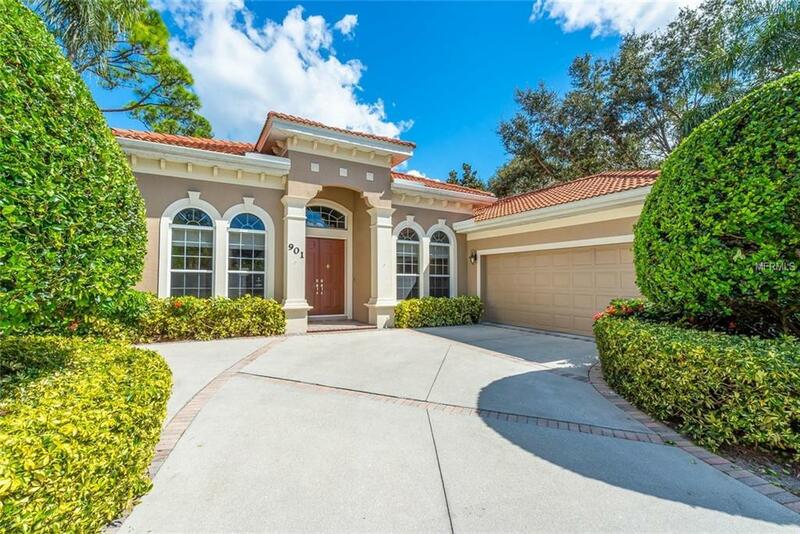 Custom move-in ready John Cannon home in a great location in private North Creek Estates, an exclusive community located just south of the Oaks Golf and Country Club. Quality, attention to detail, numerous upgrades, and 2,623 sq. ft. of living area, with 3 bedrooms plus office and 2 baths in a split floor plan design. Updated kitchen with brand new stainless appliances, granite counters, breakfast bar and center island, raised panel wood cabinetry, pantry, and eat-in nook with aquarium glass window. 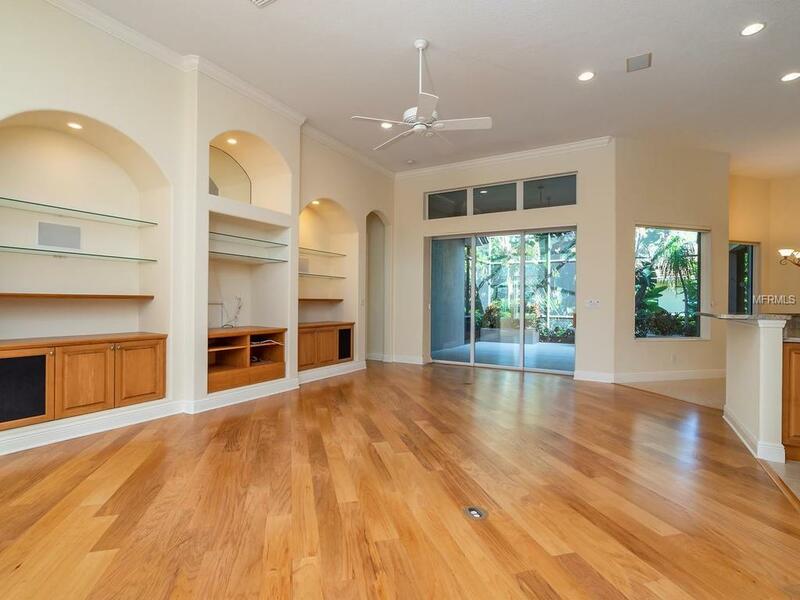 Light-filled great room features beautiful wood floor, entertainment center, and surround sound system. Spacious master suite with new plush carpeting and lovely bath with upgraded granite counters, tiled shower and garden bath. New plush carpeting in 2nd bedroom. 3rd bedroom currently used as office with great built-in cabinetry. Convenient additional office/den with wood floor. 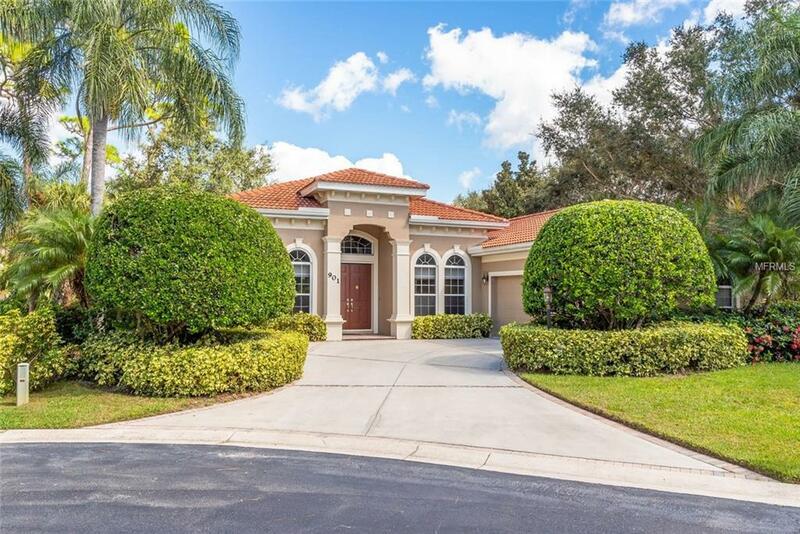 Entertain or relax in your large screened lanai surrounded by tropical landscaping. 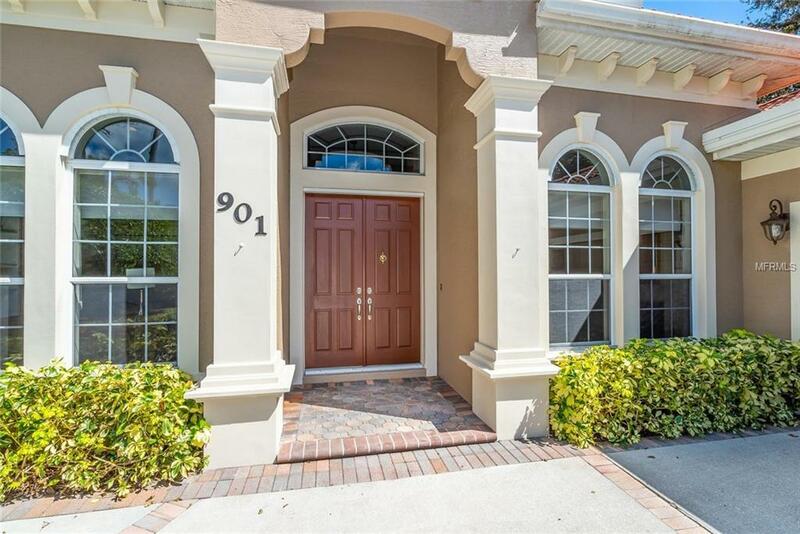 Additional upgrades include crown molding, custom closets, hurricane shutters, oversized 2 car garage, well for irrigation, hot water recirculating pump, 2014 AC, water heater, washer and dryer. Enjoy kayaking from the convenient right-of-way access to North Creek. Well-located close to beaches, shopping, restaurants and culture, and Pine View School. The ultimate Florida lifestyle.